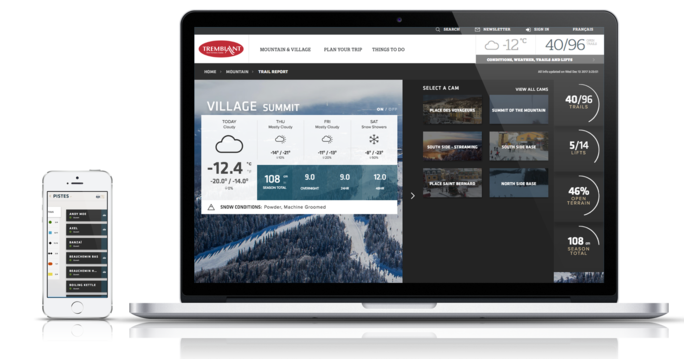 New on tremblant.ca website: we have redesigned the Ski and Weather Conditions page. To find out how many trails are open, ski lifts’ status, snow conditions or weather forecast, make your way to the new Ski and Weather Conditions page and access updated information on the mountain. You can also get a visual of what is happening in Tremblant through the multiple video cameras located in strategic locations on the ski area. 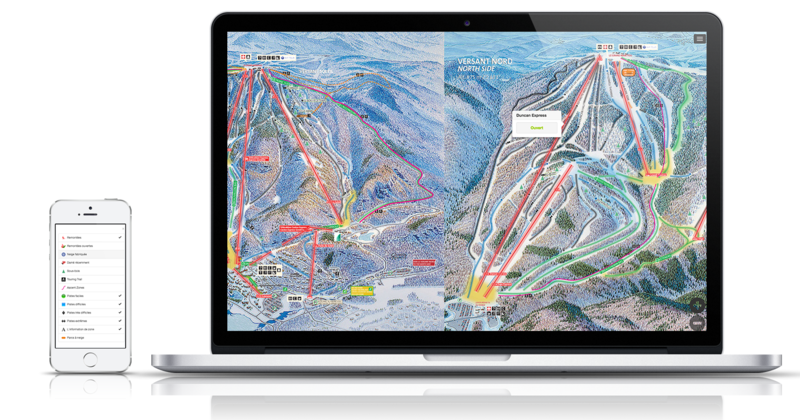 To maximize your ski season, sign up for QuickTrax snow alerts. You will get them directly on your cell phone. Fresh powder lovers will better plan their schedule with these instant updates! Personalize your preferences and pick the time when you wish to receive the alerts, the minimum snowfall required to trigger an alert or, if you plan to come to Tremblant for a specific period, pick the alerts for these dates only. In the upcoming weeks, a new tool will be available to guide you on the mountain. Our interactive trail map will now allow you to see, in real time, trails that are open, ability levels, skiing conditions, glades and touring trails. Filters let you hide or show selected elements. This user-friendly tool will make it easier to access mountain conditions in real time on your devices.